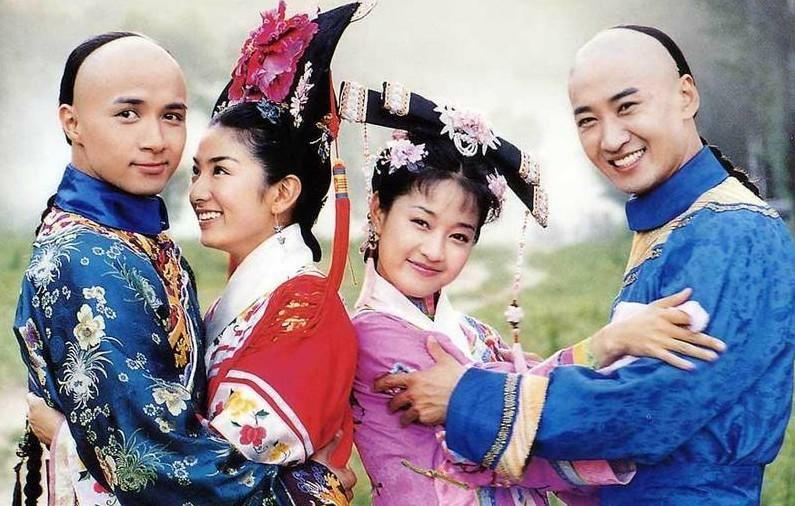 Too Soon For Another My Fair Princess Reboot? My Fair Princess 還珠格格 starring Vicki Zhao, Ruby Lin, Alec Su and Zhou Jie was first released in 1998 and lasted for two seasons. The third season came four years after in 2003. The drama was created and written by Chiung Yao and she announced this week via VCR that she will recreate the classic drama in a way that will appeal to the younger generation. The first two seasons of the drama were huge successes both with the audience and the critics. The third season which had a new cast led by Huang Yi, Ma Yili, Leo Ku and a role reprisal from Zhou Jie was not a hit with the critics but ranked high on viewership. This isn't the first time that Chiung Yao will remake the original. Her first attempt was back in 2011 with New My Fair Princess 新還珠格格. It starred Li Sheng, Zhang Rui, Benjamin Schwartz, Hai Lu and Li Jiahang and turned out to be a flop. The production blew almost US$ 700,000 on costume alone and most of the new actors on the remake were largely ridiculed by the fans on social media. So I don't understand why she's attempting a third time to revive the franchise after two failed attempts. Eight years is technically not that long and if the younger generation didn't like it then, I can't see how she can rewrite it to make it appealing to them now. I have to give her props for having the guts and the balls to do it again. I think the original was the best. She should make a sequel instead, so that the actor/actresses are not compared back to the original. Since the original is rebroadcasted every year, I am not sure why she feels the need to do anothere remake when the 2011 one failed so miserably due to miscast of the guys. Qioing Yao should remake her other dramas..ie ghost husband or the Seagull bu the seashore. I would love to see a remake of Ghost Husband. One of my fave QY stories besides Princess Returning Pearl. Also, thought the theme song was great to which this day is still on my playlist!!! Zhou Wei already states that she does not want to reprise her role as Little Sparroe when they dis HZGG3. She said the story jas already been told through HZGG1&2. Maybe she can do a guest appearance. But China rebroadcast the original every summer, so Qioung Yao is still getting Royalties from the airing. Adding Benjy's character was a big mistake for the 2011 remake. She needs to move on. The original has been everyone’s favs. NO ONE can top Vicki and Ruby. Period. It seems like these sequels or whatever keeps getting longer. The plot is dragged out, which isn’t good. BOOOOOOH that New Fair Princess was a real nightmare. Everybody acted so mushy and so fake! With the exception of Ben Jiu of course...everyone else was just so terrible at acting. The girls tried to be overly sweet, yeah we know Zi Wei and Qing'er are sweet girls but the new actresses were just obnoxiously nice and vulnerable to the point like they are a piece of leaf. And I couldn't stand the while fake loud funny laugh from Li Sheng. I didn't see it as a problem of them being first time actors because Ruby Lin, Zhao wei, Alec su, Zhou Jie, FBB were all new actors back then too. And they did not have clothes as beautiful, good technologies or basically anything as good as what everyone has today. I think, any drama or show with the less technology, the better, IF they want to remake classics. And the OST...All HZGG1 + HZGGII + HZGGIII all have the best OST ever made! It was only New Fair Princess that it became so bad, especially they keep on playing that "Ho..ho..ho" part. I couldn't tell if it was the sheeps or the cow crying why did it just sound so funny every single time I hear it? Isn’t Yanxi 2 supposedly also about that generation? Is this another Ruyi vs Yanxi situation 2019, same characters different POV? No. Totally different story. It is about Qianlong's Son who in history died during his early 20's and Qianlongs adopted daughter. HZGG story is more about friendship/family and one true love rather than Palace politics. Pretty lighthearted story compared to Yanxi palace which is about the harem women fighting and killing each other. Sounds like Yanxi 2 is the story of a different prince/son of Qianlong.